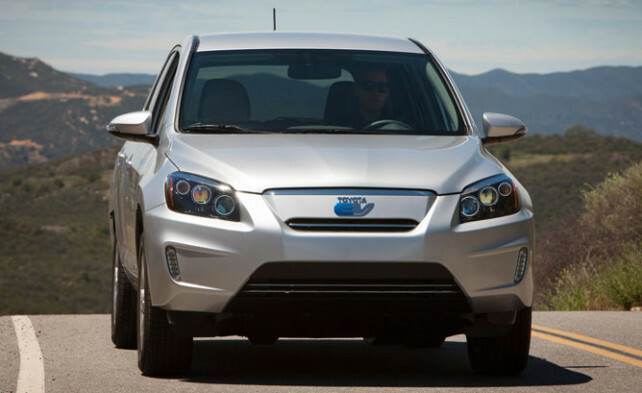 Now, with the newest 2014 Toyota RAV4 Electric edition out, we can’t wait to relay to you its capabilities and characteristics. 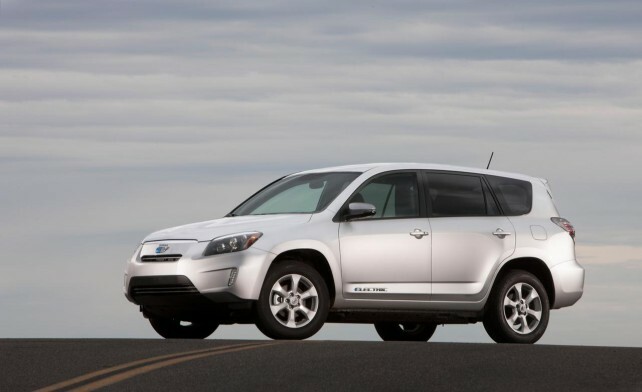 When the 2012 electric RAV4 was announced, everybody considered it the first electric SUV from Toyota. Actually, the history of electric Toyota RAV4 started in 1997, at the same time when the first edition of this car model was released. This five-passenger crossover SUV in its 2014 version is offered in one, although well-equipped trim level. Among the standard features of 2014 Toyota RAV4 Electric are 17-inch alloy wheels, LED running lights and headlights, unique grille, power-folding mirrors, keyless ignition, an elongated rear spoiler, intimidating headlight design and overall-improved exterior design with carefully redesigned details. 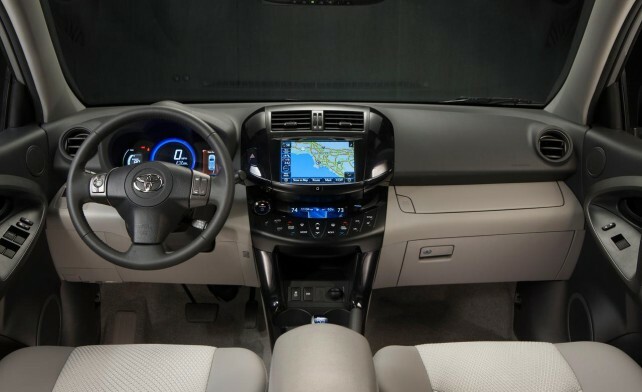 Some of the standard equipment in 2014 Toyota Rav4 Electric is “SofTex” simulated leather upholstery, height-adjustable driver seat, dual-zone automatic climate control and leather-wrapped tilt-and-telescoping steering wheel. There is also an auto-dimming rearview mirror, heated front seats and an EV-specific instrument group with a 3.5-inch information display, another 8-inch touchscreen display, navigation system, iPod and USB interface in standard version. Of course, the new RAV4 Electric will also have all the top-notch safety systems as well as traction and braking control and a standard thing – airbags for driver and all passengers. 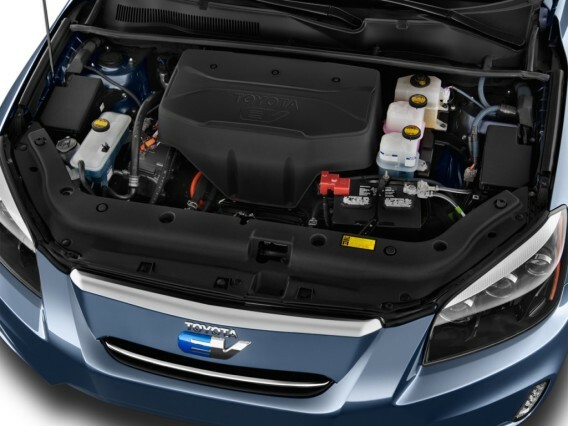 The heart of the new 2014 Toyota Rav4 Electric consists of a 115-kW electric motor which produces same strength as 154 HP in Sport mode, and uses front-wheel drive with all-wheel drive unavailable. The road tests have shown that it goes 0-60 in just 7.2 seconds in Sport mode and 8.6 seconds in Normal mode. 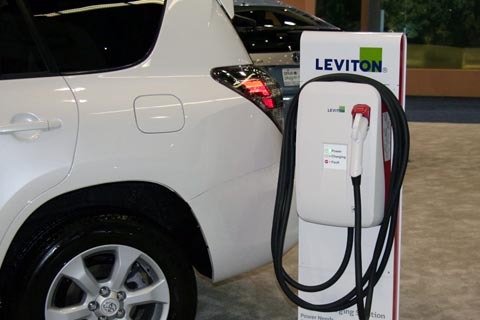 One charge of the motor can provide 103 miles of driving which is longer than any other EV save for the Tesla Model S, and it takes about 6 hours to charge on a 240-volt current. 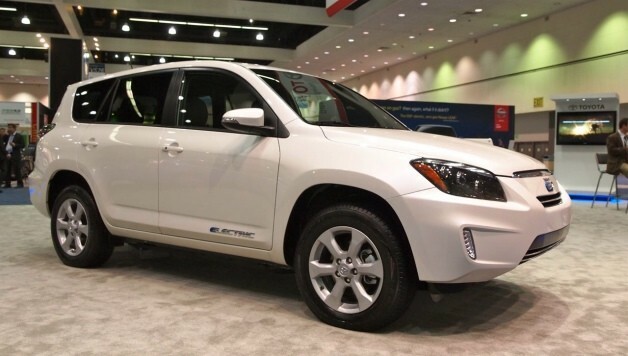 The retail price of the new 2014 Toyota RAV4 Electric is not one of the lower prices as this car sells for $49,800. After all the government incentives and tax breaks, it comes at $40,000 for this last-generation SUV and all this considering the fact it is sold solely in California.